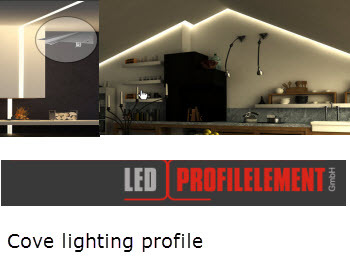 Ledprofilelements sees it as their job, to fit the “light” into the construction form, so that it is recognizable only as a shadow groove to generate subtle, indirect lighting through cove lighting. This produces a pleasant, reassuring atmosphere which positively affects the mood, well-being and goodwill of the viewer. Light is used to put straight accents, to draw the attention or even to provide prestige and exclusivity. 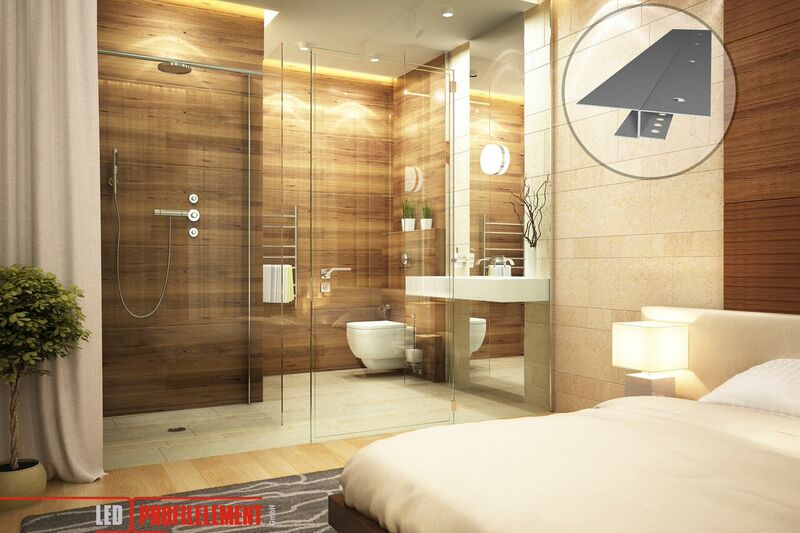 A light scenario for any room, a simple and non-glaring light, using the current building materials, e.g., plaster boards or wet plasters in the harmony with the modern technology. The result is slender, filigree, even disc-like. Our cove lighting profiles adapt themselves in the materials and melt into the construction form which appears like it is casted together. A new standard for every designer, architect, lighting planners and developers! With the mounting possibilities in horizontal as well as in vertical direction, no hurdles are too big for the profiles and there are no more barriers for the user / planer. For every building, for every home and for every customer an individual and perfectly fitted solution can be found.